TCS young leaders have been holding a series of 'talent quests'. The boys weren't brave enough to enter the musical instrument one (although Caleb would say it wasn't bravery holding him back, it just wasn't his thing); they don't have much talent by way of dancing that we've experienced, and would rather have their fingernails nails ripped out slowly than sing in public. BUT...Aaron didn't hesitate to put his name down for the baking section. He has a rather keen interest in food and baking. 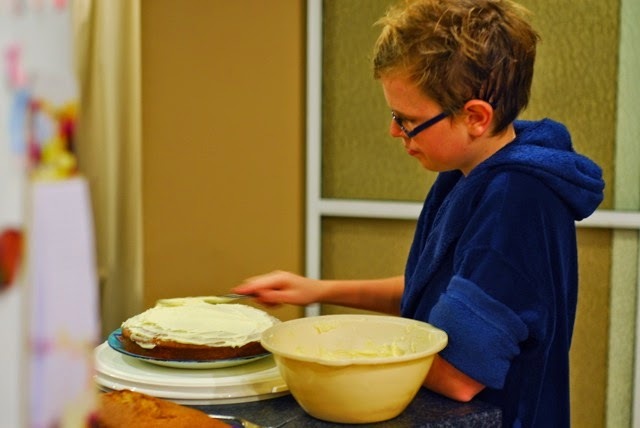 He set about making a carrot cake - I provided the recipe, ingredients, and supervision (including 'you've forgotten to add flour'), and he did the rest - all the measuring, mixing, and the final icing of the cake. The competition was really well supported, with over 30 entrants, if memory serves - the judges had to sample and rate everything and felt green by the time they were done. 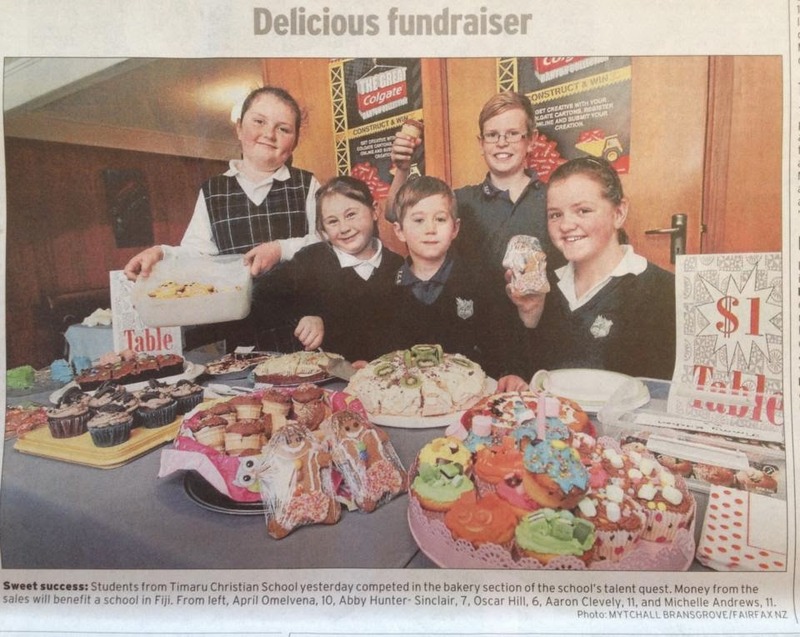 The left over baking was sold to fellow students to raise funds for a school in Fiji. Aaron didn't win a prize in the competition, but he did happen to be in the right place at the right time to get himself photographed by a Timaru Herald photographer - I'm not sure how they got wind of the competition (perhaps the delicious smells wafted uptown), but it was in the next day's newspaper.